I found a nice pattern to use my North Ronaldsay yarn on that I bought when I last visited Orkney in 2016. It's called the Bandana Cowl and its my first go with short rows. The first two attempts failed because I didn't use stitch markers but on my third attempt I've made it passed the short rows and I'm heading for the decreases. I really ought to knit more often but I need to knit with a purpose, so I'm recommitting to knitting some baby hats for the local hospital and also knitting some hats and scarves for the local city mission. 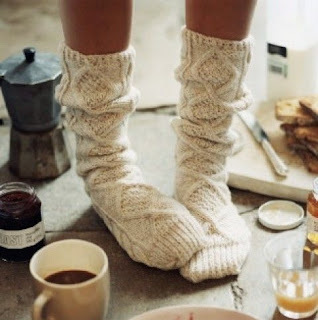 Maybe now I can knit short rows I should give some hygge woolen socks a go? What's your favourite wooly item? That's a great cowl. Can't wait to see your finished project! I find knitting so calming, too. Oh my! 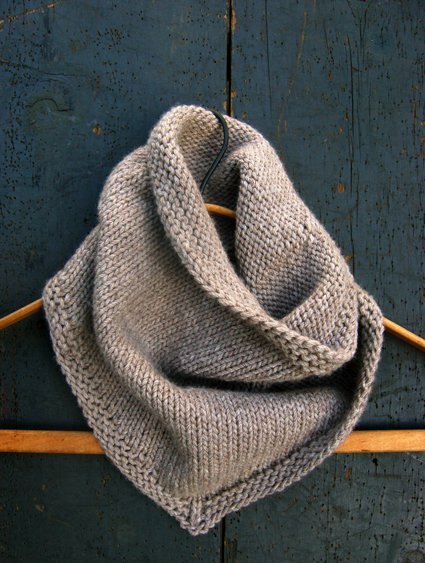 What a beautiful cowl. 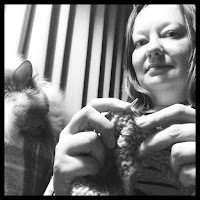 I love all wooly items, though I don't knit like I used to because my hands are starting to get wonky so I can't go very long or use smaller needles very well. I love those socks and hope to see your version! Thanks for coming to my post on Marmelade Gypsy! I see you have cats too -- aren't they the best for a truly hygge life? That was my word of the year last year and I seem to keep on living it! That cowl is so pretty. I love pieces like that. I haven't done any knitting this winter as I've been focused on finishing a blanket I'm crocheting. But my stupid RA has kept me from finishing it as my hands always seem to be impacted when I get a flare. I would really like to finish the blanket I'm working on before the baby is born so hopefully I get a pain-free window soon!